This entry was posted in Aboriginal Australians, Books, MUSICAL MONDAY and tagged Aboriginal Australians, Australia, Cultural Identity, Effects of Colonisation by Catherine. Bookmark the permalink. I think I would love to read this book – can you send the link? I just love your posts Catherine – thanks to you for raising awareness of how things were. Thankyou so much Angela for alerting me to the fact that my “link” re: the book was “broken”. Hopefully it’s now fixed… please let me know if there is still a prob and thanks so much for your kind, affirming comment. My purpose for bloggging has always been as a legacy for my children/ grandchildren so they will know the family stories, entrusted to me,.. get some sense of time, place and historical events influencing their Ancestors decisions and also get an idea of the person I was when I too “fall off the twig” 🙂 To know that others also find my posts of value still amazes me. Thankyou again. I too love this song Catherine. Ted Egan is an under-sung (pardon the pun) hero of the Northern Territory. Although the recent Administrator, his song-writing has been under-appreciated. He packs so much history into his songs that we can learn from. When we toured the NT with two of our daughters in 1994, we picked up several of his tapes which were played loudly in the car…DD1 was a bit bemused when we returned home and had all turned “country”. Now that I would liked to have seen…the road trip singalong but especially the knees up to the kids’ horror. I’d have joined you in the songs, word perfect or not! Meant to say that he had hoped to get funding for a movie on the topic -what a shame it never got up. That is a movie which needs to me made!!! Am wondering how long ago that was Pauleen and whether it’d be more accepted now, i.e. since “the apology” ? It was several years ago, before he became Administrator I’m pretty sure. I don’t know that the apology would have made much difference, more that it isn’t probably seen as a commercial proposition. Don’t know. I’m over here mourning for the drover’s “boy”. such a touching and sad song. Thank you for introducing it to me. Oh, it is indeed Kristin. 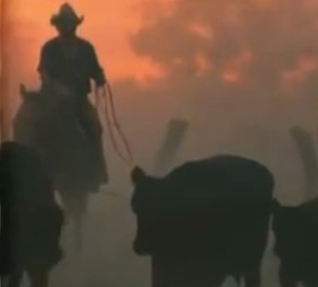 I still wipe a tear every time and keep remembering Ted Egan’s final words: “Don’t cry for the Drover’s Boy. Don’t mourn the Drover’s Boy but don’t forget the Drover’s Boy”. That just makes me blubber all the more. Thanks for such a caring comment.